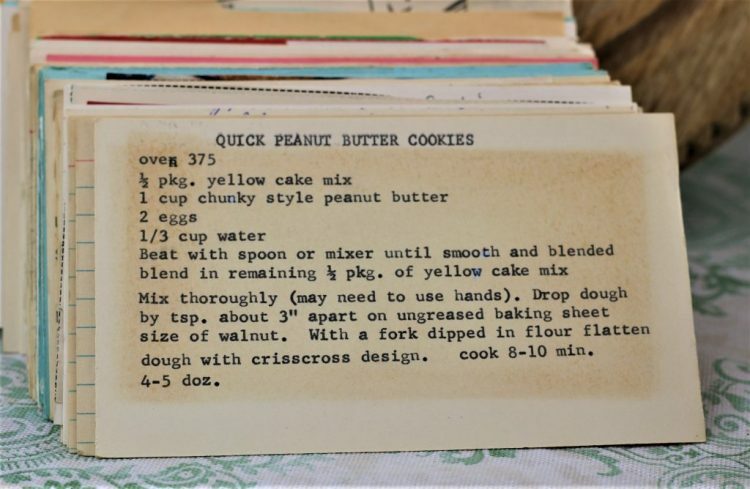 Front of the recipe card for Quick Peanut Butter Cookies. Back of the recipe card for Quick Peanut Butter Cookies. Based on the back of the recipe card, this recipe is from 1969 or earlier. There are lots of fun recipes to read in the box this recipe for Quick Peanut Butter Cookies was with. Use the links below to view other recipes similar to this Quick Peanut Butter Cookies recipe. 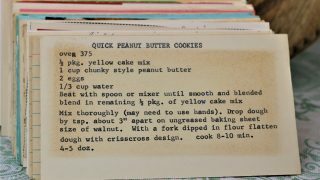 If you make this Quick Peanut Butter Cookies recipe, please share your photos and comments below! Blend in remaining ½ pkg. of yellow cake mix. 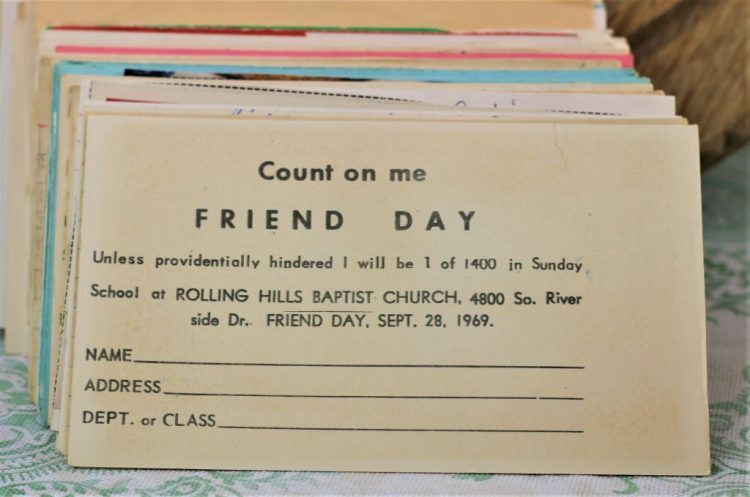 Mix thoroughly (may need to use hadns). Drop dough by tsp. about 3" apart on ungreased baking sheet size of walnut. With a fork dipped in flour flatten dough with crisscross design.